When talking about Frameworks vs CMSs, we usually compare one to another. But in fact there are quite a lot of CMSs that are built on top of frameworks! 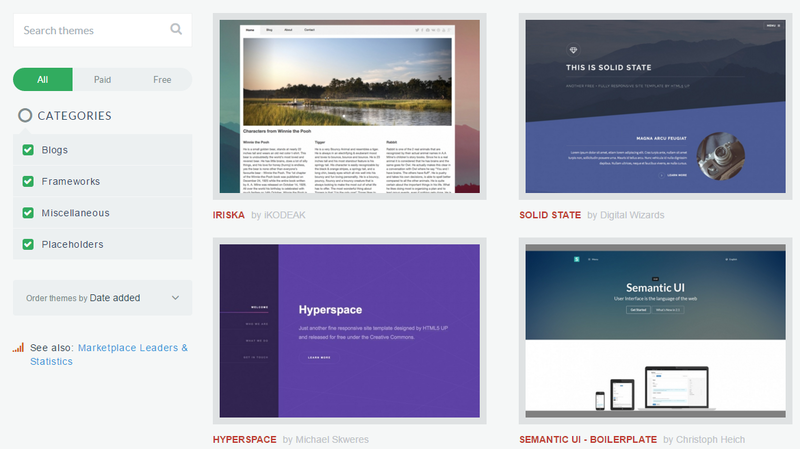 Laravel isn’t an exception and there are a few popular CMS projects which deserve attention. So I decided to look at the market and do a quick testing of those. Let’s see what I’ve found. 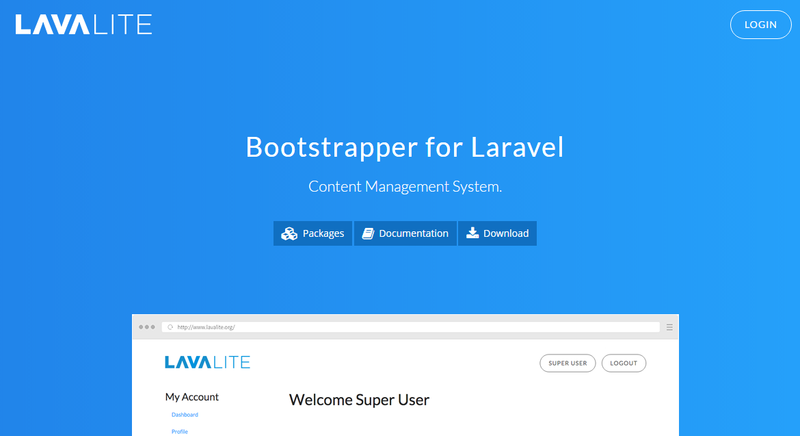 By far the most popular Laravel-based CMS on the market. And it deserves the popularity – from the CMSs I’ve tested this was the only one fully-production-ready: documentation, ease of use, plugins, themes, just take it and use it. The first pleasant thing is a web-based installation process, which allows even to choose from three installation options: blank, theme or ready-made. I’ve chosen a theme-based option and here are some of the themes available by default. And then – installation goes on, downloading files from the internet. Now, the admin area is quite nice as well. 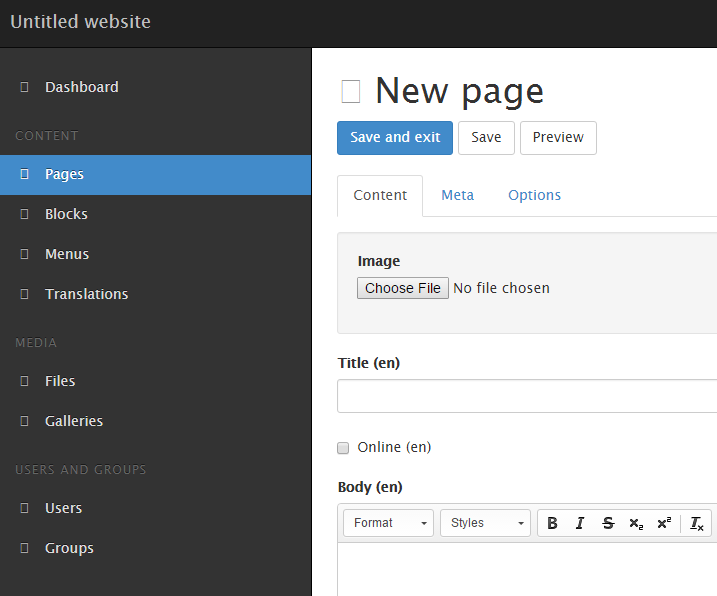 Theme consists of pre-made structured pages (to be exact, Twig templates) which you can edit from back-end. And yes, by saying “edit from back-end”, I mean literally that. You can edit the code and click Save. 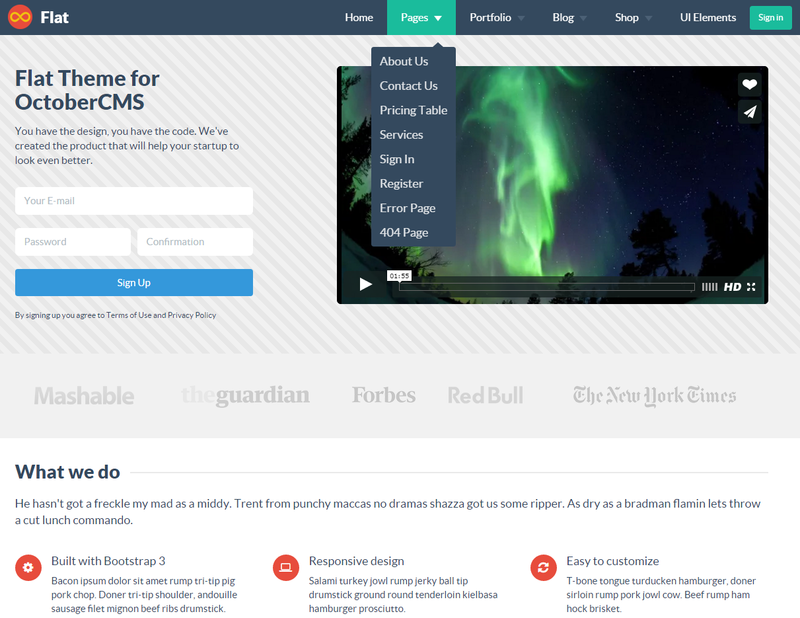 Wow, CMS for developers. In addition, there are a few useful settings, I particularly liked mail preferences – you can not only choose mail driver from back-end (PHP Mail, Mailgun, Mandrill etc) but also have ready-made email templates to edit. Also I can say nice words about “marketing” part of the whole October CMS infrastructure, which is as important as core CMS itself. And finally – CMS is mature (started in October of 2013, now you understand the logic behind the name?) and is still strongly maintained, the last commit to Github was less than a month ago. So definitely check out October CMS, meanwhile – let’s go to review the alternatives. Have you tried our tool to generate Laravel adminpanel without a line of code? Relatively new project, started in 2015, but already really strong. 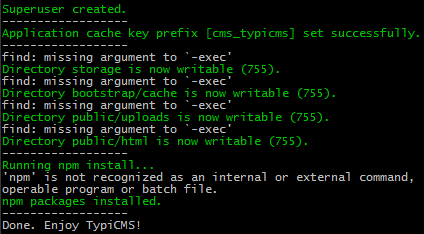 But this CMS is aimed more at developers, even install should be done from command line. Done! 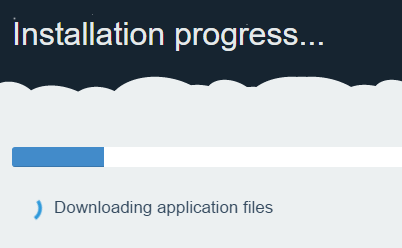 Enjoy your freshly installed website. You can login to the back by going to the /backend URI. 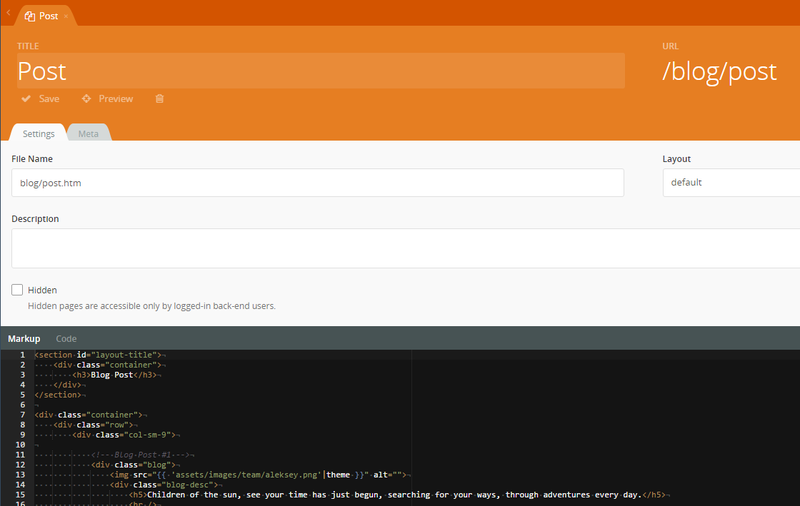 Default front-end homepage is really really simple, but I guess the thought behind it that you can easily extend it. Asgard CMS is also actively maintained, last commit on GitHub was within the last month. 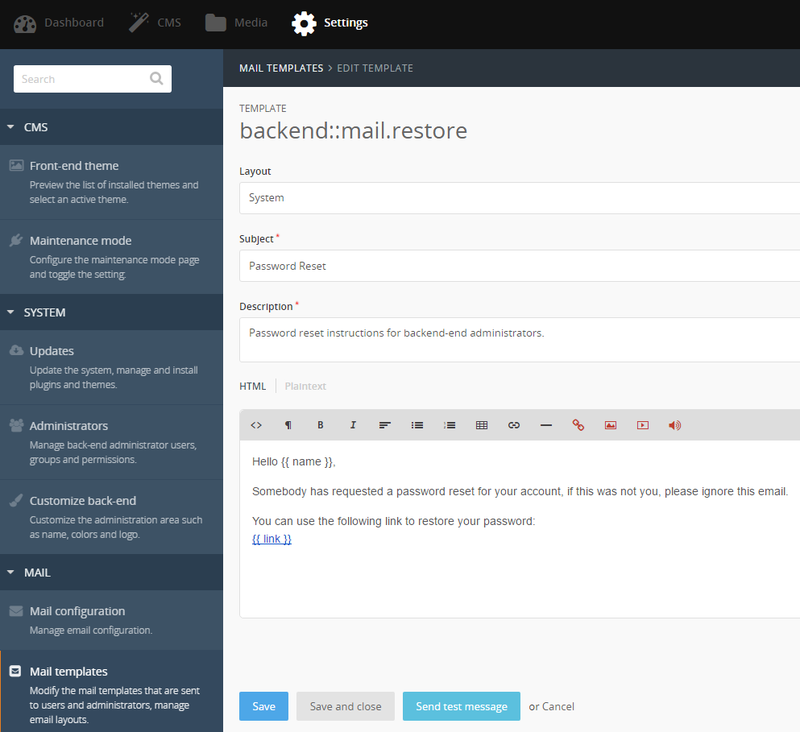 So I can recommend Asgard CMS as a valid simple option for Laravel-based CMS. Want more articles like this every week? Subscribe! Still not sure? Want to check out past newsletter issues? Here they are – just click this link! 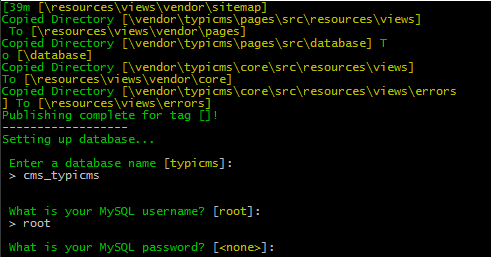 Enter your database details in .env file on root folder. Run php artisan migrate –seed to setup your database. 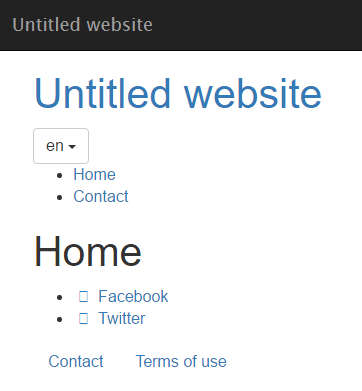 Front-end template is simple but you can customize it however you want. And Lavalite is really strongly maintainable: the last commit was just hours ago. And now we move to contestants which are not production-ready or I had troubles using, but still makes sense to review them. This one has an interesting history – it was re-built from CodeIgniter (PyroCMS versions up to 2.x) to Laravel (version 3.x), with latter having a new main committer and still in beta. Maybe that’s why installation wasn’t successful for me – here are the screenshots. Update: more detailed overview of this CMS you can find in this fresh article. This one is totally for developers. All the information and documentation is directly on GitHub. It seems like there was a separate Laravel 4 version of this CMS, and now it’s migrating to 5.2 (not 5.1 or 5.0, sounds impressive!). But in the end – installation succeeded, and the homepage loaded successfully, just without assets. So, to use TypiCMS you totally need Homestead or something like that, but overall seems like a really serious project with good documentation. 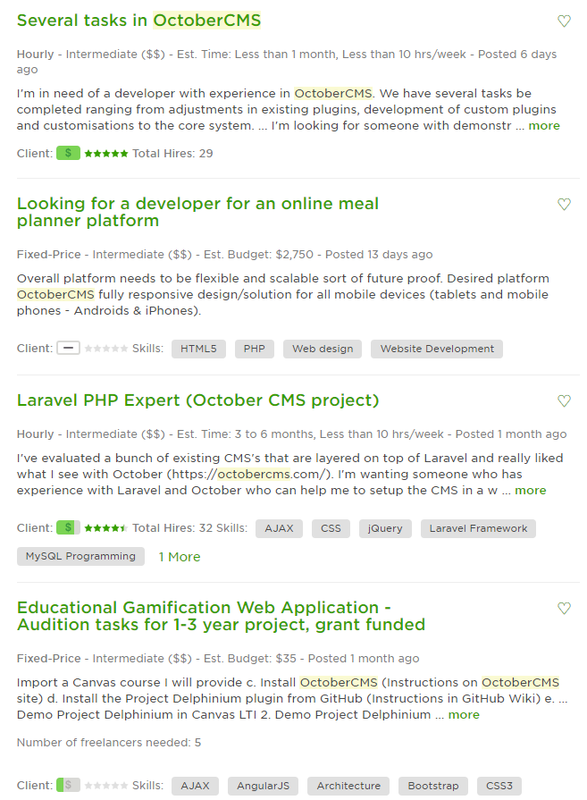 There are quite a few CMSs based on Laravel, with October CMS being a clear market leader. Personally, I’m not a fan of this solution (cause you have to maintain CMS on top of framework and constantly upgrade both), but if you do need this kind of architecture – just pick one of the above! Notice: I’ve also found some abandoned or just started projects which I haven’t mentioned, but maybe in the future there will be more contestants for this TOP 5. I also wanted to mention http://quarx.info. One thing I keep noticing is the lack of drop-in CMS packages that can be added to an existing project. Most, if not all, require you to spin them up as their own project, then build your functionaity around them. have you seen any that could be used as drop-ins? Regarding those drop-in packages, I haven’t seen those, but it’s hard to imagine a universal CMS package for YOUR particular project. Or do you mean that you have some kind of a database already, and then some external package would build an adminpanel with CRUDs for those? Isn’t it kinda “artificial intelligence” to understand your existing project and build a CMS for it? Bumble CMS is worth a look, it’s far from a full fledged CMS but it’s a good drop in package that gives you a GUI to manipulate models. Still needs some polish but I think the concept is very good. PyroCMS can be dropped into Laravel no problem. And it’s stable now! My problem with Pyro is that were it once was a bonafide CMS, today it is no more than a collection of building blocks. No cms to be found. Hey Povilas, you should check out Doptor as well. Thank you Kerwin, I did notice that system, but was unable to even download it or view any demo, it just didn’t work. So I thought it was abandoned or something. 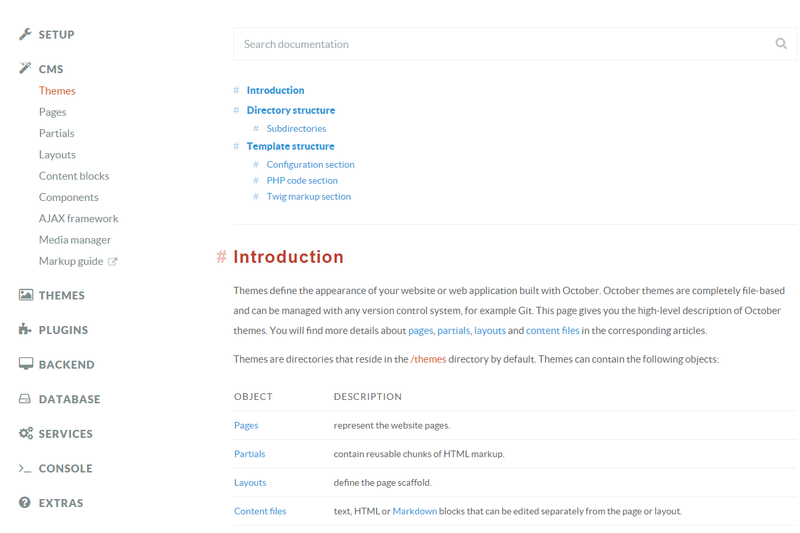 OctoberCMS is Twig based, not Blade… At least that was the case last time I tried it. Thank you Zile, will correct in the article. 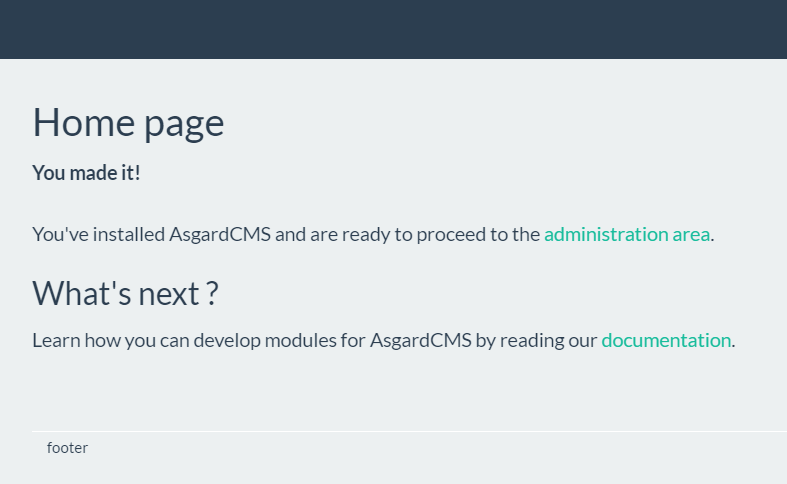 Asgard CMS is definitly a good product and even if it’s a CM’s still a 100% Laravel application, I mean the structure of the files are still the same as a normal Laravel applicaton (not like some other CMS) . 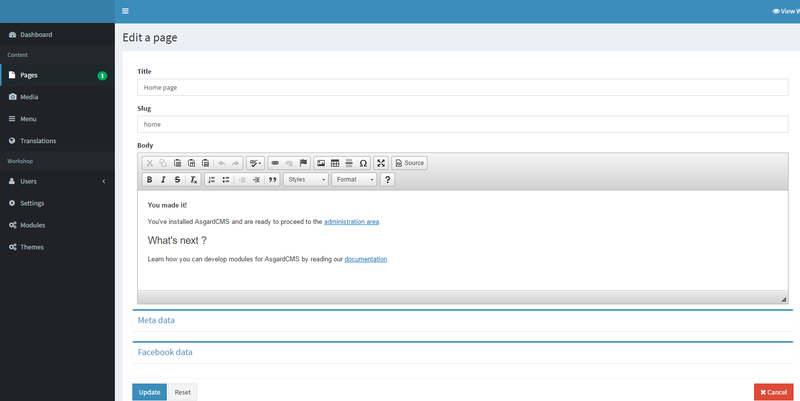 Very lightweight but convenient blogging CMS. Can you introduce some shopping script (Like OpenCart) base on Laravel? I’ve added a relation to my product by implementing the buyable interface. Took me a couple of minutes to get this to work. CMS Canvas is something I have done on the side as a hobby and takes a slightly different approach to content management than the others listed. 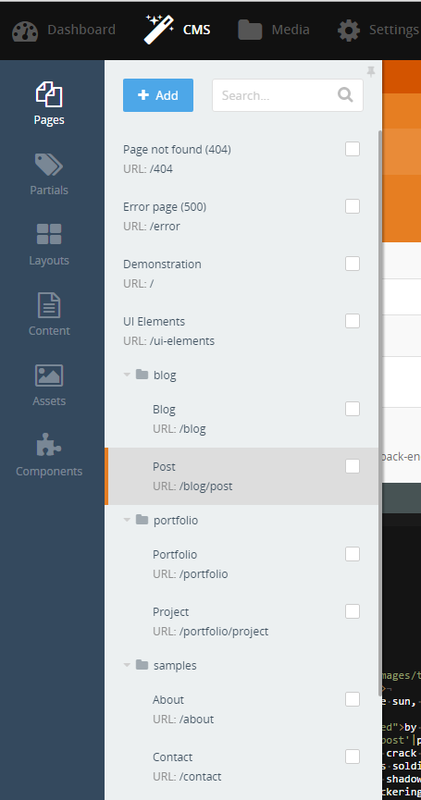 In CMS Canvas all content are entries which can then be turned into a page if desired. 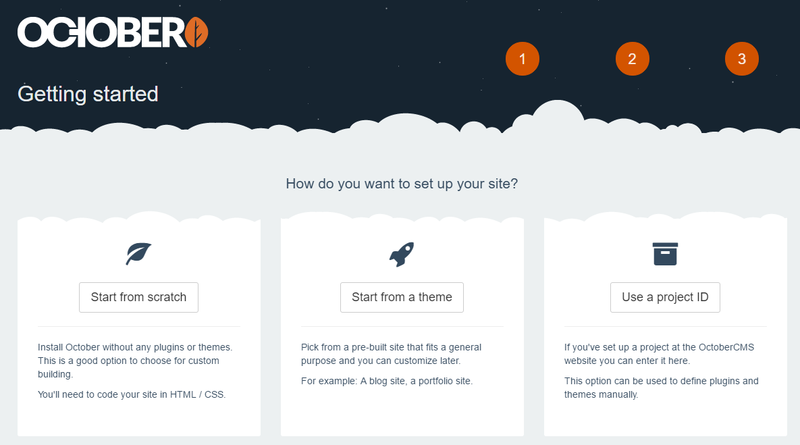 This makes it easier for both end users and developers when dealing with content in complex layouts or when building things like blogs, news feeds, rss feeds, etc. Also, it is package that can be added to existing Laravel projects. This article is all October cms and the other 4 are not explained in the same depth. 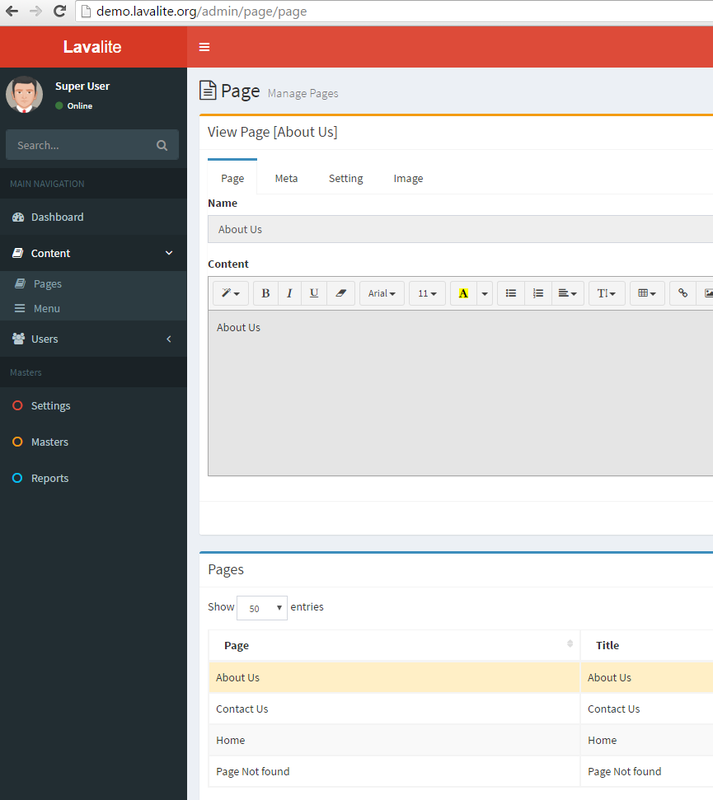 Open source CRM for laravel which acts like CMS as well. Inspired by SugarCRM Philosophy over Data Types and Access. The parameter prefer-dist is lead by two dashes instead of one. Any laravel accounting system including HRMS and inventory ? What about Statamic from laravel contributors? Not for free! I regularly use it for eCommerce development which I currently focus on. I have a special promo-code that let’s you buy any of the paid plugins for a minimum price. Ask me if you would like to get your hands on it, it also adds me points if I share it with people.